Initially came to Ponteland in the late 70’s to Northumberland Teacher Training College, located where the Police HQ is now. Later Lectured at Newcastle College and became the Schools Liaison Manager helping young students across the region. 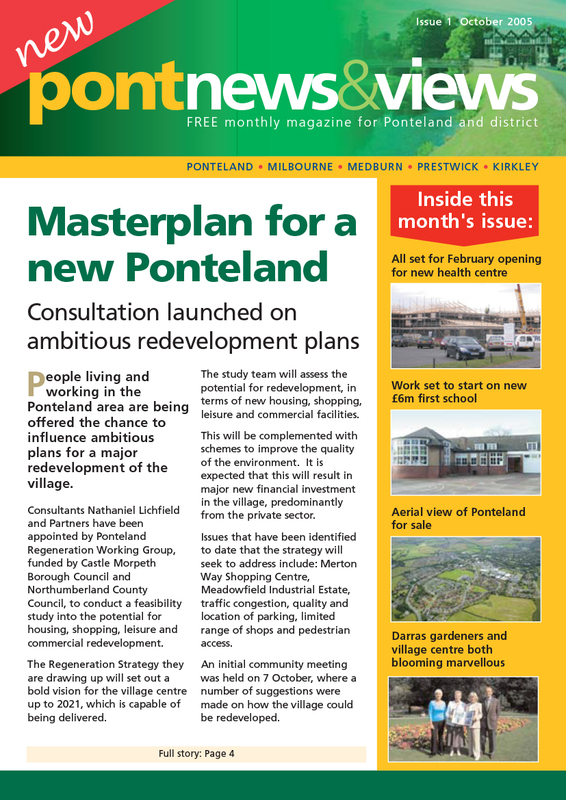 Since then I have taken an active part in the community most recently with the Ponteland Neighbourhood Plan Steering Group. I moved here from Hertfordshire in 1969, still live in the same house on Darras Hall and have two sons. I worked for Newcastle University Medical School in Communication Skills for 30 years until retirement. I am Honorary Secretary of the Ponteland Community Partnership, a member of the Darras Hall Estate Committee and a Patient Representative for Ponteland Medical Group. A former lecturer at Kirkley Hall, I served as a local Ponteland Councillor on the former Parish and Borough Councils. I was Chairman of the Parish Council, Chairman of Castle Morpeth Borough Council’s Development Control Committee for eleven years and Mayor of the Borough in 2000/2001. I have a wide knowledge of Ponteland. I represent the Lions Club on the PCP. I came to Darras Hall in the 1960’s with my parents but worked away from the area returning in 2002 to Ponteland. It is an area which I love and very much see as home. I have worked in further education for most of my life and most recently as a Senior Manager in Adult Learning at Northumberland County Council. I am now retired and I am a volunteer adviser for Citizens Advice. I am also the minute secretary for Friends of Ponteland Park. Now retired but was a Master Decorator and worked in Ponteland in the 1960’s for Contract House. I worked for The National Trust, Scottish and Newcastle Breweries and Lloyds Bank Group. I was also National President of the British Decorator’s Association. I carried out work at Wallington Hall, Lindisfarne Castle, Alnwick Castle, Lumley Castle, The Waggon, Millbourne Hall and Ponteland Sports Centre amongst many others. I have lived in Darras Hall for 26 years and witnessed many changes. A Charted Engineer and has worked as a Project Manager and Consultant for 45 years home and abroad. He has been a member of the Parish Council and Town Council since 1979 and was Ponteland’s first mayor. He and his wife have lived in Ponteland since 1976 and currently have eight grandchildren. I moved to Ponteland in 1987 and attend the Community Partnership as a link to Ponteland Civic Society, which seeks to maintain the character of Ponteland and to maintain and improve its infrastructure. As a Partnership member I have also been heavily involved in its role in establishing the Callerton Lane playground and Skate Park and the youth building on the schools site. I have lived in Ponteland for 21 years with my husband and have 3 married sons and 6 grandchildren. I retired after nearly 30 years as the first Asian female Postmistress in the North East and am committed to supporting the Hindu Temple Committee and 3 Indian women’s groups trying to promote Unity and Diversity. I also support as a representative for Ponteland Medical Group and Ageing Well. I have lived in Ponteland since 1982 and have grown up enjoying the beauty of this area. I have been fortunate enough to work in Ponteland as a GP and have taken great pleasure in serving my community. I now pass on the privilege of being an active member of the Ponteland community to my children who very much enjoy representing Ponteland in many activities including cricket. I feel immense pride in being part of a welcoming, friendly and inviting community which is Ponteland and long may it last! Chris is a retired Chartered Surveyor in 2012 and has lived in Ponteland since 1985. He graduated from Newcastle Polytechnic in 1976 and qualified in 1978 married to a Primary school teacher, with two grown up boys. One of Chris’s main interests is aviation and in particular old military aircraft. He served for over 16 years as a commissioned officer in the RAFVR(T) and was based at the Airport Squadron Air Training Corps and also spent time as Squadron Commander at Prudhoe Squadron ATC. He is also a member of the Ponteland Green Belt Group.